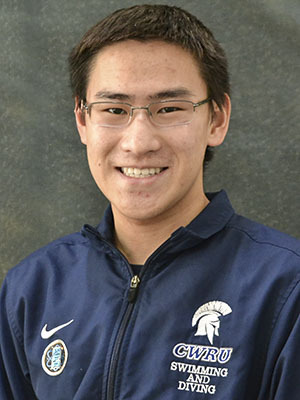 Second-year swimmer Jonathan Liu has developed a love for poker since coming to campus. He has also taught himself how to play piano in his free time. 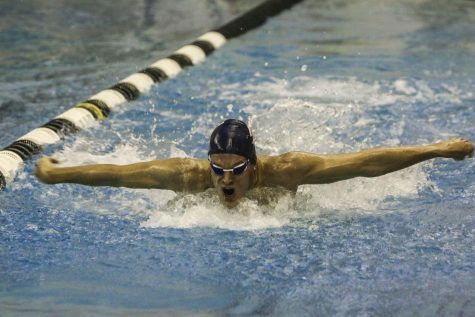 Jonathan Liu is a second-year swimmer who swims the breast and butterfly strokes. He loves swimming for the friendships he has formed through the sport and the time management it requires, which keeps him more organized. Although he was an avid video game player in high school, he has found a new hobby since he began at Case Western Reserve University. His favorite quote is a well-known meme that carries more significance to him than it may for other people. 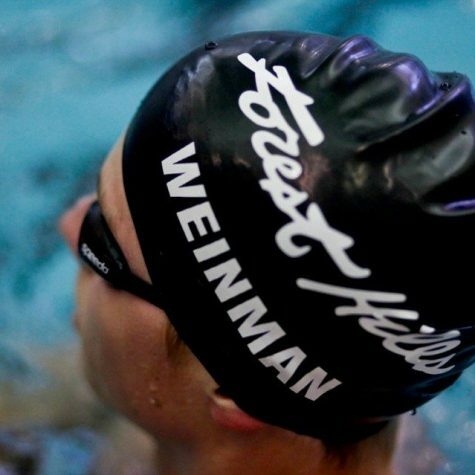 What is your favorite part(s) of being on the swimming team? Why? Also, where did you get your passion for swimming? Any good stories? I enjoy being on the swim team because it builds strong bonds between swimmers. 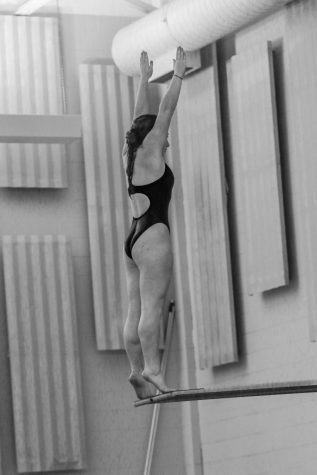 Competitive swimming is an extremely rigorous sport, and all the long hours and early morning practices forge a special connection between everyone who gets through. I’ve made many friends from swimming, all of whom share the same competitive spirit and determination to achieve their goals. 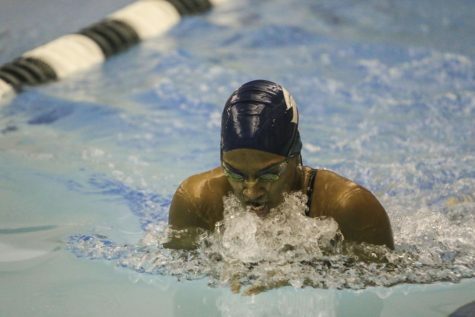 Also, swimming is a great full-body exercise and is something I wish to continue throughout my life. 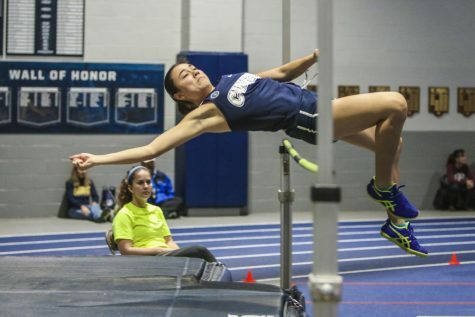 Many people think that committing to a varsity sports team is too much of a time commitment. However, if anything, swimming team makes me more efficient. During the offseason, I often find myself just wasting many hours mindlessly watching YouTube videos, constantly distracting myself while studying and playing games for too long. Daily swimming practices force me to manage my time more wisely. Last but certainly not least, swimming allows me to eat so much food. Food is good. In high school, I spent many hours playing various video games, arguably too much. Once I got to college, I decided that I should quit video games and [pursue] more meaningful hobbies. I found a new interest at Casino Night in August 2017 when I lost all my starting money in poker pretty quickly. [As] a competitive guy, I never wanted that to happen again, so I started playing online for play money and learning the various strategies in poker. I joined [the] poker club and met some new friends. The club is fairly small, so our goal is to popularize poker club at CWRU by hosting events and teaching the intricacies of poker. After about a year of playing for play money, I started playing for real money online and have been able to make a profit. My other major free time activity is that I “play” piano. I put that in quotes because I never really had lessons, and I am very slow at reading sheet music; when I find a song that I really like, I look up a Synthesia (where the notes from above fall onto the piano) and tediously memorize the song using muscle memory. Though this method is extremely time consuming, I now know how to play some nice songs and am happy I learned them. In a way, I am inspired by fear. Not fear of failure, but fear of regret. I never want to finish something and have doubts about whether I could have done better. I like to commit full effort in anything I do so that regardless of the result, I can feel satisfied knowing that I did everything in my power to succeed.